Whatever the application can be, heat dissipation is one of the main factors for the power supply to operate in a constant and safe condition, and this most of the time determines the reliability of the Customer Equipment. When a power supply is inserted into a closed and isolated end product, within the product case there are usually locations reserved for screw holes or copper pillars to fasten the power supply onto the device. But with high density power modules, some of the circumstances does not aid to the power supply to efficiently dissipate heat to the outer casing of the end product, and leads to temperature rising, and ultimately damaging key components on the power supply. But with the Baseplate-cooled module, the baseplate is able to have direct contact to the main heat generating components, and act as an effective outlet. 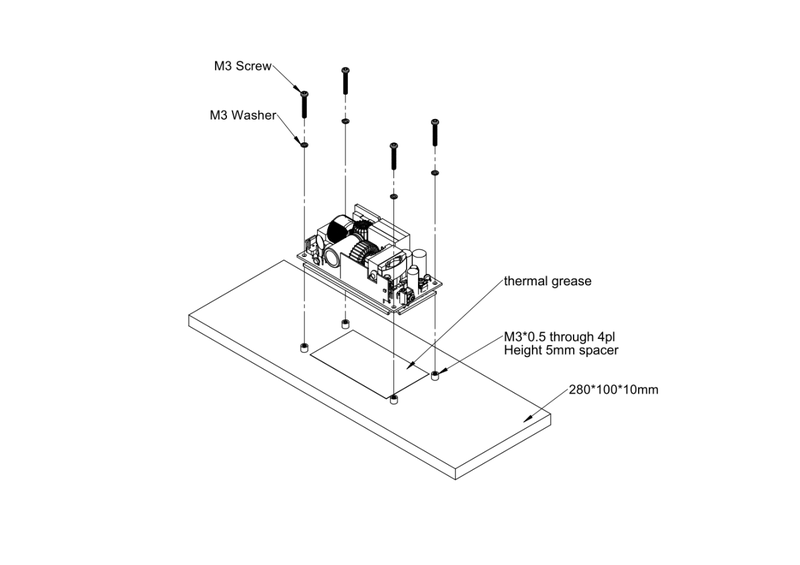 This Baseplate design greatly help customers in resolving high temperature issues internally. From the narrative above regarding Baseplate cooling, we can now grasp on the concept that power supplies designed with this Baseplate feature can efficiently tackle on heat dissipation directly from the generating sources on the power module, which will lower failures, and enhance the reliability of the power supply, and if coupled with appropriate heatsinks, we can eventually lower power component temperature that ultimately achieve full output without adding cases to the power supply. Although adding fans for cooling is another method to dissipate heat and attain higher efficiency from the power supply, but fan failure, noise, and ingress of dust are issues of concerns that one may encounter with such products. In some situations where the Power Supply must work 24/7, the fan will be the first failure to occur in the entire Equipment. There are also other products that aids performance by adding casing to the power module, however, its yield to increase efficiency is usually minimal. 1. 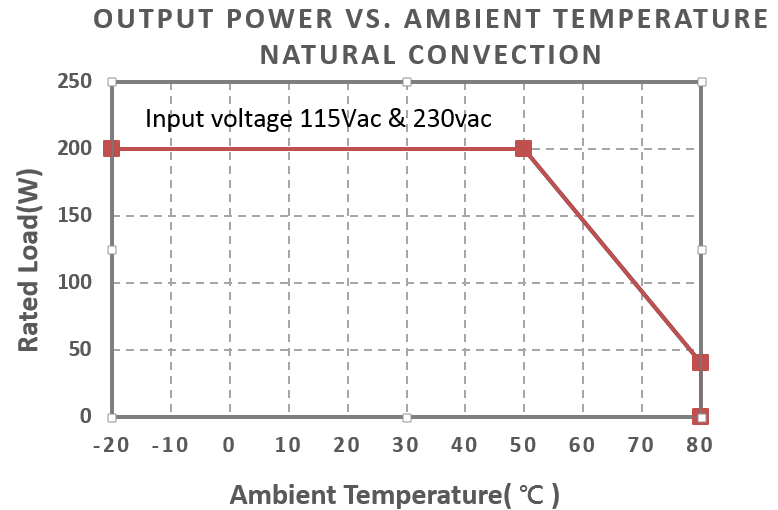 Effectively exhaust heat from within the power supply. 2. 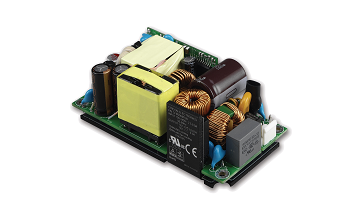 Lowers failure rate of critical components within the power supply. 3. 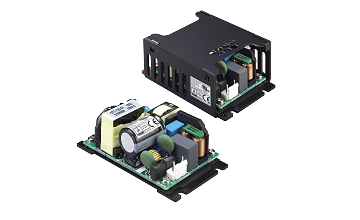 Providing more flexible installation of the power supply, and ability to withstand high temperature environments. 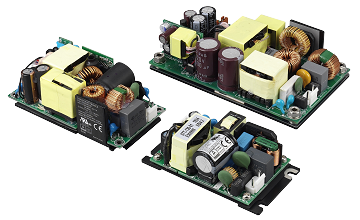 Across the Cincon range from 130W to 500W AC-DC baseplate products, one example can be shown by testing the 200W called CFM200M. The CFM200M series, when without fan, convection cooled operation, has a rated output of 160W. But with additional heat sinking instruments (they can be the end product case or other heat dissipating modules), we can achieve 200W without a fan. Our demonstration here is to use an extended 280mm x100mm x10mm aluminum plate, and have our CFM200M attached to the plate through screws. When we add on external heat sinks, CFM200M can increase its output from 160W to 200W. Also, we chose the enclosed case version CFM200MXXXC as our test subject. According to its specifications, when the room temperature is under 40°C, it can provide a 200W output. But when using the external aluminum plate as aid, the unit can still provide 200W even when room temperature increases to 50°C. Below diagram shows the two derating curves of the two testing results. 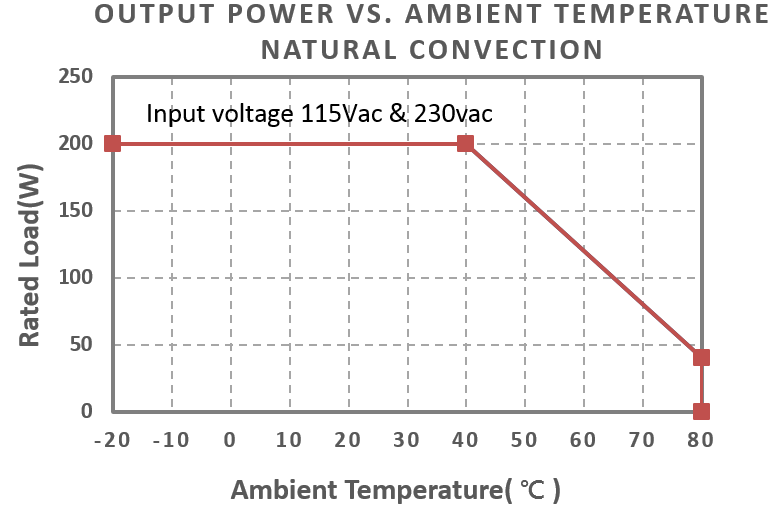 From the above demonstration, we can understand that with an additional heat dissipating instrument that is about 8 times larger in size of our power supply, we can obtain a 10°C higher room temperature limit. With the design of Baseplate-cooled products, such as our CFM130M, CFM200M, CFM300M, and CFM361 series, Cincon is able to offer more flexible options to choose from for heat dissipation strategies.